Read Me Deadly: How Does Your Garden Grow? The weather forecasters keep predicting nice weekends that don't materialize, and it's frustrating because I think it's time to get the hoe on the road. Gardening wisdom for the mid-Atlantic coastal regions is that small plants and seedlings are probably safe from Jack Frost after Mother's Day, which is on its way. Since we seem to be hovering about 20° below the average for this time of year, my usual gardening activities have been put on hold. While I'm waiting, it's appropriate to move onto Plan B: armchair gardening. 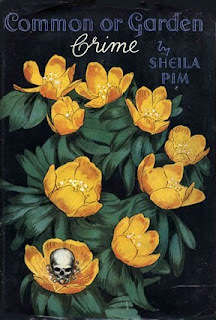 When I think of gardening mysteries, Sheila Pim comes instantly to mind. She was an Irish author who wrote her first detective novel, Common or Garden Crime, to satisfy her father's thirst for detective stories. There was a dearth of these, because publications of the same had been curtailed due to the paper shortages that affected neutral Ireland during what they called the "Emergency," and the rest of the world called World War II. Pim was one of the first mystery writers to integrate a gardening background into her novels. For Pim, as well as the protagonists in her work, the horticultural details were essential to the plots, but they were also pivotal to the characters' daily lives. 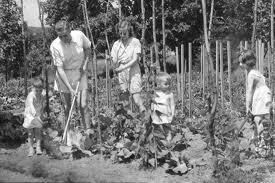 Gardening was not just a hobby, but also a necessary way of living, because it provided crucial foodstuffs in times of scarcity. It was also a part of the social activities in the community, such as flower shows and vegetable competitions. Common or Garden Crime takes place around 1943, when things were looking better both on the war front and in Clonmeen, a small village on the outskirts of Dublin. Lucy Bex lived there with her brother, Linnaeus, at Annalee Lodge. She had taken care of her sibling and his son, Ivor, who was away in the R.A.F., for many years. On one particularly beautiful summer morning, she was contemplating how peaceful everything was in this edenic locale, while parts of the world were anything but. She felt that the unnatural serenity was too good to last. She was right. The Bexes and all their neighbors were looking forward to the upcoming flower show. A prelude to this was a small tea party at the neighboring Beechfield, inhabited by the Nichol-Jervises. The Osmunds, a couple new to town, were part of the gathering. At any affair given by the N-Js, a tour of the garden was de rigueur. As the party circled the yard, one particular planting became the center of the conversation. It was a grouping of Arabian monkshood. 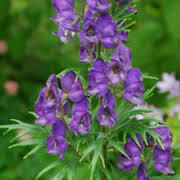 Linnaeus labeled it Aconitum ferox, and it was so named because it was ferociously poisonous. All monkshood is toxic, but this type was more rare and more potent. Still, the general feeling of the members of the party was calm and untroubled. There wasn't much concern, either, when the next day it was found that the monkshood had been taken in the night. It can be said that many grow up believing that all evil began in a garden. I was one of these. I wasn't too old when I realized that, like many other things, it was simply another case of cherchez la femme or better said find a femme to blame it on. In this particular story, it was a femme, Lady Madeleine Osmond, who was found poisoned the next day from monkshood mixed in the horseradish sauce. Sheila Pim recounts the events in a slightly unusual format, by presenting two non-adversarial, but parallel, investigations. The Guards pursue their investigation, while Lucy Bex––an amateur sleuth who is privy to her neighbors' secrets––pursues her own inquiries. It is through the small domestic details that the murderer is uncovered. For instance, in those days, planning meals was dictated more by circumstances than desires. Lack of freezers and most refrigeration was not on hand, so the weekend before a bank holiday, you had to think of having something cold left over for Monday. Lamb was scarce and what was available was only enough for one meal. Nobody liked cold mutton, and pork was no good in August. The only choice, therefore, was beef and since mustard was no longer available, it was natural that horseradish would be served. Pim's books might be described as novels of how ordinary people react when their lives are disrupted by extraordinary events, such as murder or war. While she wrote many things, her gardening mysteries number only four. The others––all standalones––are Creeping Venom, A Brush With Death and A Hive of Suspects, all of which were republished by Rue Morgue Press. I can recommend them all. Michelle Wan is another author who writes interesting stories with a botanical background. Hers take place across the pond in the Dordogne, in northwest France. 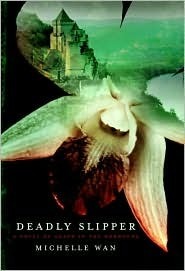 Deadly Slipper features more exotic blooms and presents a different scenario involving flora and felony. Julian Wood is pottering in his workroom when he gets a call from a woman who needs his botanical expertise, particularly his knowledge of orchids. Twenty years ago, Bedie, a young woman hiking in the forest in the southwestern forest of France in the area of the Dordogne, disappeared. The only clue in all those years to finally come to light is a camera with the film still intact. The girl's twin sister, Mara, has had the film developed and it reveals a series of landscapes and very good pictures of orchids. One orchid in particular has never been seen in this area before. This series of pictures might help in the location of Bedie's last day if the area of the orchids can be identified. 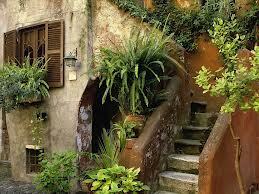 Aside from the exotic plants the countryside is peopled with eccentric characters. There is a woman nicknamed "hoe" because she was lethal with one in her hand, with a hulk of a son who communicated with few words and is thought to be unusual. 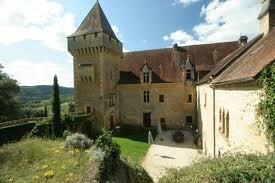 There is a local well-known family who live in the "chateau" with a sad history and the locals are protective of them. There are others who have lived in the area since the time of Bedie's disappearance. 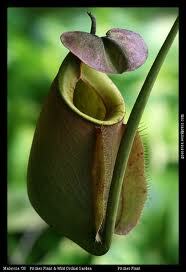 Julian himself has been somewhat of a hermit and he does have an interest in horticulture and orchids. The book is rich with descriptions of the Dordogne and is spiced up with savory details of French cooking. The theme ultimately is one of a serial killer preying on young women, and Mara does not know whom to trust. But for a killer to hide so well in plain sight, he must have on very good camouflage. You or I would possibly think him very likeable, non? The next in her series is The Orchid Shroud. 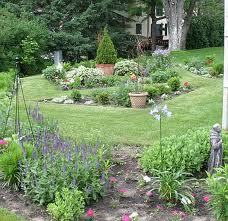 Aside from the visual beauty and gratification of other senses, some gardens have more to offer. They can tell, or contrarily bury, a story. Even in Europe, it has been colder than usual this year, but Italy is a wonderful place for gardens. In The Savage Garden, a Mark Mills mystery, Adam Strickland is a Cambridge scholar who has taken a slightly lazy approach to his studies. His professor suggests a trip to Italy to study a famous garden. The professor believes that this will pique Adam's interest. Naturally, there is a secret in this garden, a cipher, and Adam also believes there is a secret to be discovered in the villa itself. His natural instinct, or maybe nosiness in disguise, soon leads him to some startling conclusions about both the recent and the centuries-ago past. I don't know if it could be called brashness or arrogance when he begins to delve into the personal lives of the occupants of the Villa Docci. He definitely has no problems with blurting out his suspicions. As one person tells him: "You have been here hardly a week! What business is it of yours?" He certainly takes liberties as he toys with the rules of the house and the emotions of its inhabitants. 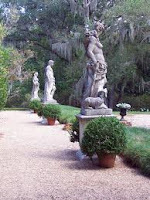 Aside from that, as he digs into the meaning of the statuary in the garden, he has to use all his classical knowledge to piece together this enigma. 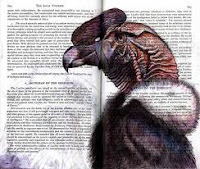 The reader is educated as well, as we are reminded of ancient myths and allegories. I am also tempted to read the book Adam was reading on his trip, which was Dorothy L. Sayers's translation of Dante's epic poem The Inferno. 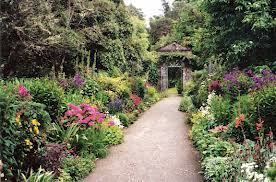 Martin Edwards has written a series that takes place in the Lake District of England, where gardens abound. This series has developed some critical acclaim among blogs and British mystery discussions. I began the series at the beginning, which is a smart thing to do because the subsequent books frequently talk about people, places and things that appear in the first book, The Coffin Trail. The main characters are Daniel Kind, an ex-Oxford historian who is seeking the quiet life in a new location, and DCI Hannah Scarlett, a police detective who had a case fall apart on her and had been shunted to a newly formed cold case unit, of which she has been put in charge. Hannah is called to reopen a case in the series opener. The two protagonists dance around the case poking it to see if it stirs. This occupies the first 2/3 of the book. Finally the investigation begins and proceeds nicely to an interesting conclusion. 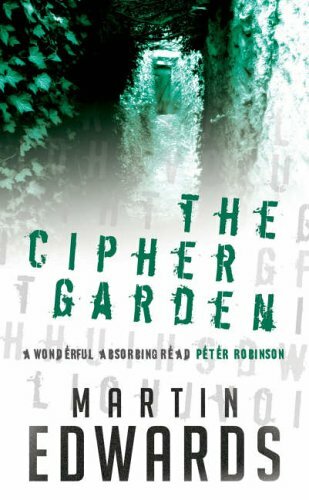 In The Cipher Garden, Daniel and Scarlett dance the same dance around another case of the murder of a local lothario who was also a mean, disliked man who was part owner of a landscaping business. Both Daniel and Scarlett worry at the edges of the mystery until finally the case opens up. There is a new murder and it is this one that helps the historian and the detective find the killer. Mean while back at the ranch or the lakeside cottage Daniel is trying to figure out the mystery of his unusual garden which is called a cipher garden because it is a puzzle set up by early owners of the home to explain either their lives or their deaths. A subplot running through the story is the relationship between Daniel and his live-in girlfriend who always appears to me to be straining at the leash which is just as well because Daniel has eyes for Hannah who is already in a long-term relationship in which there are several cracks in the foundation. These little characterizations don't paint Daniel in the strongest light because the reader really questions his judgment. But not his gardening knowledge. So now I wait with gardening gloves in hand, trowel at the ready for my turn at the soil and the only mystery will be what kind of a mess I will make this year.